This is aerial footage of the Art on the Atlanta BeltLine Lantern Parade and the Abominables have been proud to participate since the beginning in 2010. The Lantern Parade officially opens the temporary art exhibition each year on the first Saturday after Labor Day. 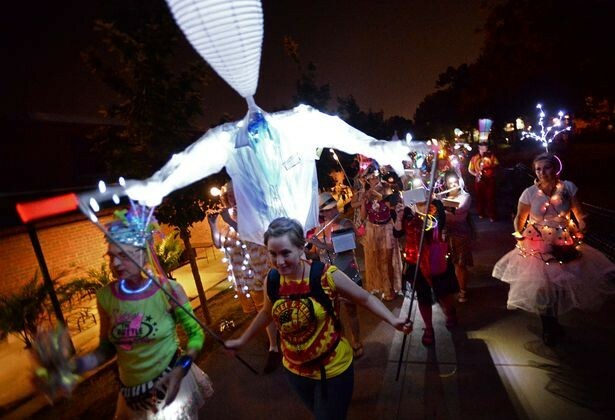 The glowing procession of light, music, and color carry over the entire length of the Eastside Trail as the parade winds from Irwin Street near Krog Street up to Piedmont Park.